1. The fastest growing minor trend is wearable technology. Smart watches have been joined by smart jewelry that keeps the wearer stylishly connected. Coming in the form of bracelets, rings and pendants, this connectivity can signal and sort incoming emails, messages and phone calls, as well as provide other functions such as health monitoring, safety and more. Look for this to continue with increased styles and connectivity in 2017. Some creative companies are also making adornment for today’s tech gadgets. 2. ​Another fast-growing category is versatile and transformable jewelry. Among these creations are earrings that can change size and appearance and rings that can change tops. Also in this category are technically interesting pieces such as expanding rings that allow for size differences. Blingtec Bangle for Jawbone UP. Blingtec Lumière collection for Misfit Shine. A "smart" bracelet by Looksee Labs. Transformable pearl earrings in gold by Mastoloni. Expandable ring in sapphires and diamonds in 18K gold by Picchiotti. Lab-grown diamonds are moving mainstream, challenging the earth-mined gems in white and fancy colors. 3. While indirectly related to design, another growing trend is the use of lab-grown diamonds in jewelry and not just white diamonds, but also lab-grown fancy color stones. Even though total production is a tiny fraction of earth-mined diamonds, celebrities are touting the eco-friendliness of these technically advanced lab-cultured gems, and it is likely that they will gain even more traction over this year. 4. 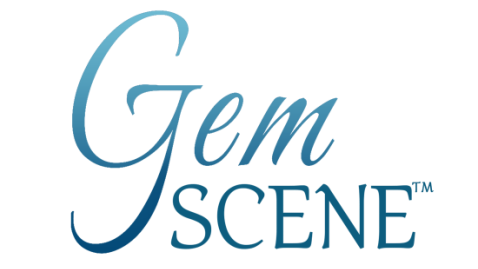 The interest in Nature and natural minerals has sparked a mini-category of jewels made with rough gemstones, geodes and diamonds as well as gems not commonly used in jewelry. These au naturel creations are gaining attention with many consumers. This unusual piece, in the "au naturel" trend, is made of rough rainbow kyanite with topaz and tourmalines set in 18K gold by AJ Jewellery.